We were finally able to visit Star City last Sunday. We were not supposed to go that night, but we discovered our tickets (ride-all-you-can) would expire a week from now. So we might as well avail the free rides. We don’t have many pictures to show. We arrived at Star City at around 7. We ate a quick snack in one of the hotdog booths there. We took the Surf Dance for our first ride, which hubby and I regretted. 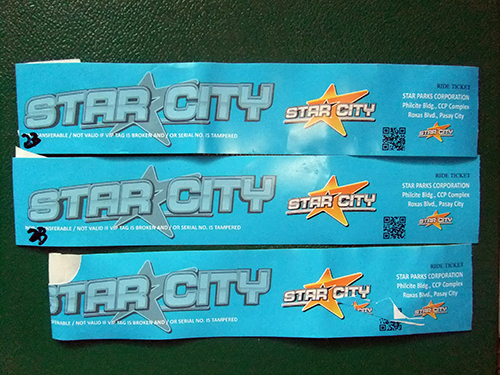 It was one of Star City’s Extreme Rides and we were not supposed to ride in it. I was shouting the whole time and my knees were shaking when we went down. Hubby and I realized we should leave all up the fun rides to the kids except for the extreme rides. The kids also tried Star Frisbee twice. They enjoyed the ride a lot. But we were nervous as we watched the giant Frisbee swung to its highest limit. My son would also like to try Star Flyer (inverted roller coaster) but we discouraged him from doing so because I feel it’s not safe for him. So, this is the only decent picture (groupie) we have at Star city. We were inside the Giant Star Wheel – the safest (for me) as it is one of the family rides. The tickets were courtesy of PJI. 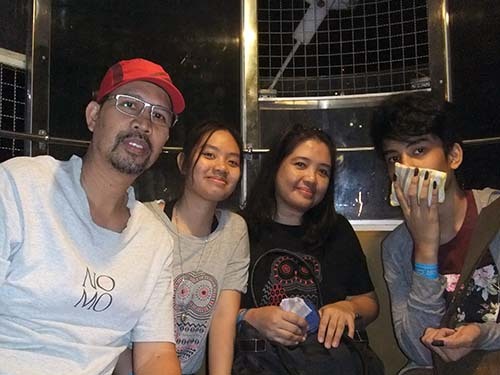 This entry was posted in Family, Outdoor Activity, Themepark, Tourism and tagged star city, star city 2014, star city extreme rides, star city fun on November 26, 2014 by Yami.